When a registrant ONLY purchases a free ($0 or no-cost) ticket(s), they are not required to make a payment. 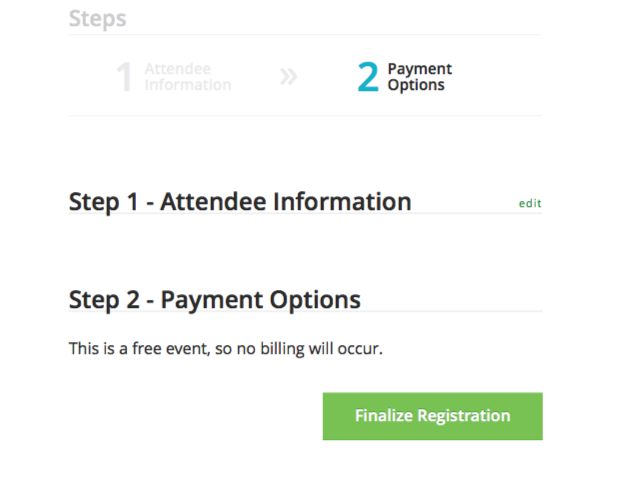 “Step 2 – Payment Options” is skipped to make the registration process faster and more simple. Registrations that are free (as in no cost) are automatically approved and given their registration and order confirmation. 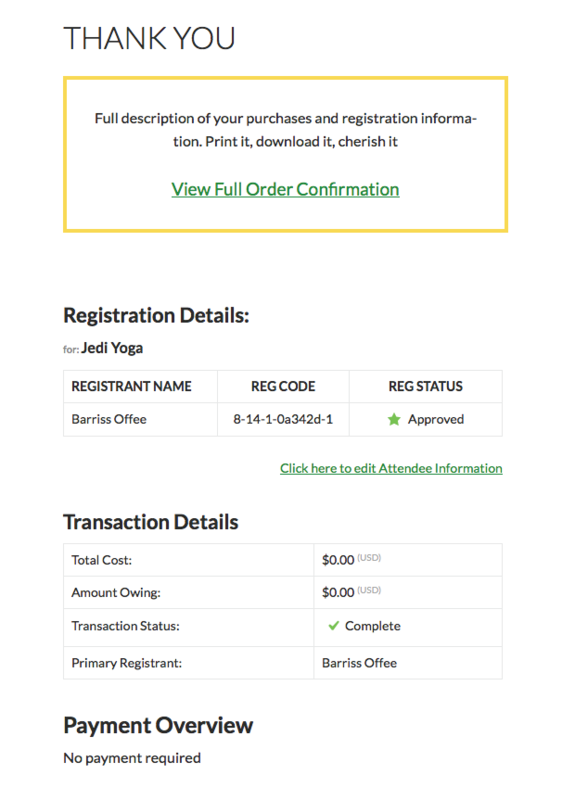 In order to make purchasing tickets faster, we’ve enabled the option for registrants to copy the information they entered for the primary attendee and automatically fill the registration form for any additional attendees. 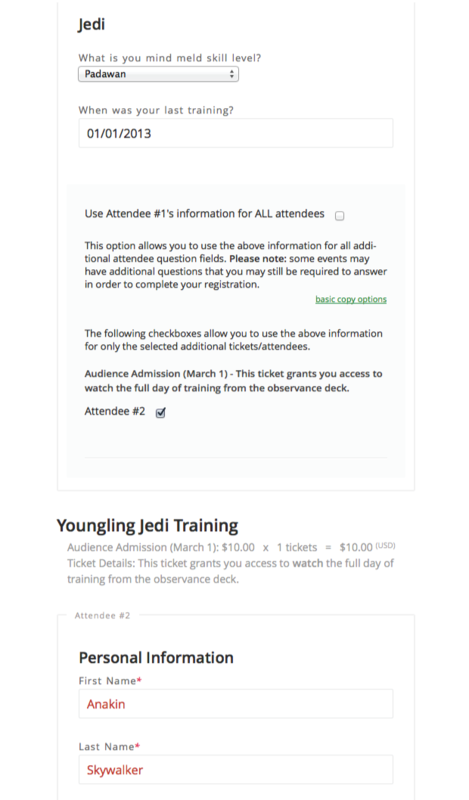 The data copied from the Primary Registrant form to the additional registrants form can still be edited for each additional attendee. A notice is given to the person filling out the forms that even though the Primary Registrant data had been copied to the additional registrant forms, there may be questions specific for additional registrants that was not asked to the Primary Registrant and the Primary Registrant will still need to check each form to ensure that there are no other questions that need to be completed. When a registrant’s first name, last name and email address perfectly match that of an existing contact profile, that existing contact address information is also updated to remain as accurate and up-to-date as possible.